SAINT JOHN • Dr. Erik Klein cherishes the memories he made as an athlete at Saint John High School. Whether playing football or running track, nothing made him happier than the camaraderie that comes from competing together on a team. 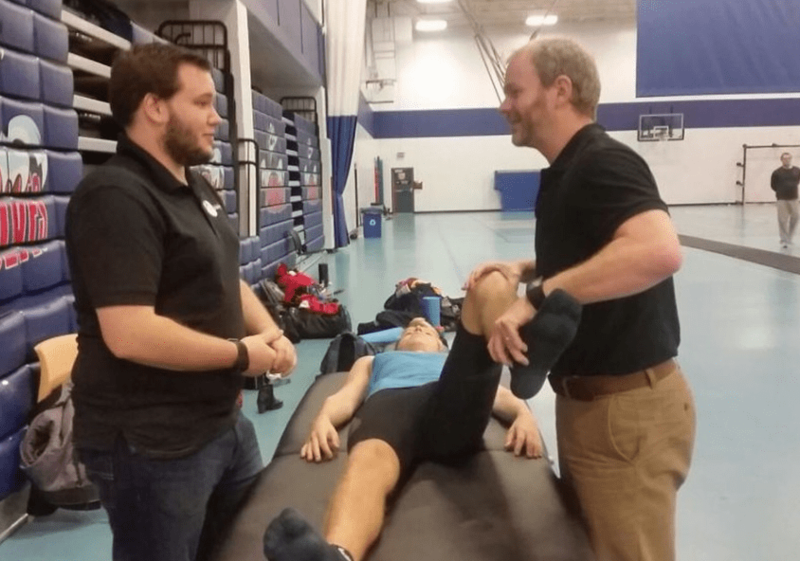 More than 20 years later, the 39-year-old chiropractor has the same sense of satisfaction from his work with countless athletes, ranging from Olympians to eager amateurs. Unlike his years competing at Saint John High, he’s now part of multiples teams. 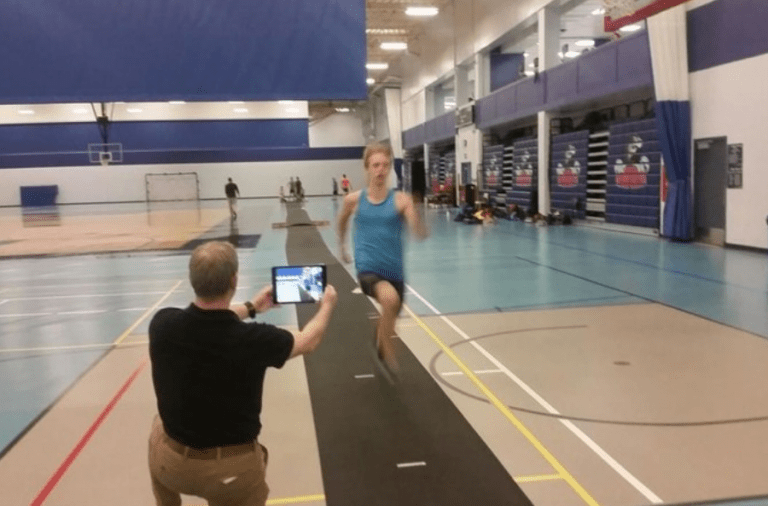 Over the years, Klein has volunteered for the University of New Brunswick track and field team, County Aces junior A hockey team, minor football teams, the Saint John Sea Dogs and the National Basketball League of Canada’s Saint John Mill Rats (now Riptide). In 2014, he was appointed director of medical services for the world women’s curling championship at Harbour Station. All that time, energy and effort hasn’t gone unnoticed. Klein will be recognized for his public service and volunteerism in health advocacy in a special ceremony Friday in Toronto. He will be the first Atlantic Canadian and youngest recipient of the prestigious Canadian Chiropractor Association’s Public Service Award. Open to the more than 7,000 chiropractors across the country, the award recognizes chiropractors who are advancing the profession through contributions to the field and advocacy efforts. Klein, who lives in Hampton with his wife, Merab, and two-year-old daughter, Torunn, still finds time to compete. He holds provincial track masters records in the 200m indoor and 400m outdoor. But he’s more concerned with promoting “the triad,” the open lines of communication between the coach, athlete and therapist in an effort to promote a holistic health approach. Klein also advocates educating the participants’ parents. It’s a hands-on approach fuelled by his desire to keep his athletes on the field. Klein’s journey to the national stage started when he studied cell biology for four years at McGill University in Montreal. From there, he studied four more years at the Canadian Memorial Chiropractic College in Toronto. He has more than 12 years of experience as a chiropractor in New Brunswick. His practice with partner Dan Comeau, The Town Chiropractor, includes seven clinics and nearly 20 health professionals across the province. This latest award will be added to another accolade. Klein and Comeau were previously awarded the Canadian Chiropractor Magazine’s Inspire Award for leadership and extensive contribution to the health of Canadians. Aside from all his work in sports, Klein has also served as a health administrator and fundraiser with four years as a member of the board of directors for Horizon Health Network, and currently with the Saint John Regional Hospital Foundation. And he still cherishes that invaluable sense of being a member of a team. Whether he’s working with a coach, athlete or part of a collaborative effort, the sports scene is part of his soul. “There’s a camaraderie there, for sure,” Klein said.